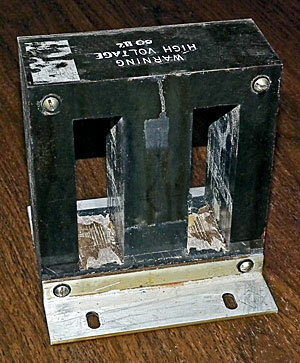 Transformers from obsolete equipment often have odd voltages and little value other then what their copper windings and steel is worth as scrap metal, but following are some cores & laminations I've removed windings from and saved for those that like to wind custom transformers. 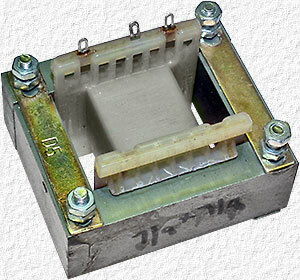 E-mail if more, or other sizes, are needed as I have more transformers with odd voltages and will remove the windings to reduce the shipment cost or ship as is to save having to wind a new 120V primary. 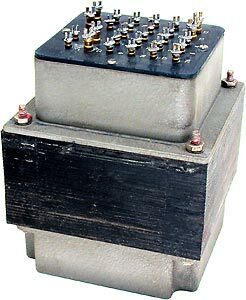 Audio & other types of transformers not worth determining spec's for are also available plus hundred's of pounds of large 6 - 8" laminations until they're sold as scrap. A 1-3/8" x 1-1/8" .458"
B 1-5/8" x 1-1/4" .542"
C 1-7/8" x 1-5/8" 5/8"
D 2-1/4" x 1-7/8" 3/4"
E 2-3/8" x 2" 25/32"
F 2-5/8" x 2-1/8" 7/8"
G 3" x 2-1/2" 1"
H 3-3/8" x 2-3/4" 1-1/8"
J 3-3/4" x 3-1/8" 1-1/4"
K 4-1/2" x 3-3/4" 1-1/2"
A size code is provided to help find laminations of a certain size or a complete transformer with laminations of a certain size when wanting to save having to wind a primary and to simply replace the secondary. E-mail if laminations of a different size then what's listed are needed as size codes were only used to identify the more common sizes. ≈ preceding the VA of unknown transformers (those without manuf's spec's) indicates the VA rating is simply what was calculated using the core cross sectional area, however other factors must often also be considered and manufactures ratings are often up to twice as much. No ≈ preceeding the VA of unknown transformers means further tests were done to determine the VA rating as accurately as possible. Additional testing is usually required to determine what VA percentage should be applied to each secondary of unknown transformers with more then one and why I've usually not provided secondary current ratings in such cases (except for a few where it was known most of the estimated VA applied to one secondary or it was split evenly between 2 or more secondaries). 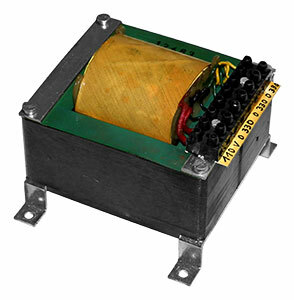 E-mail if interested in a transformer requiring additional spec's & I'll try to determine them the best I can. 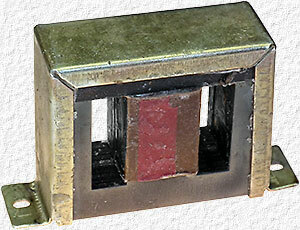 Figure 1 NOTE: Most of the laminations listed here have yet to be removed from transformers which is done to reduce shipment weight and cost and in most cases these transformers also listed on my transformer pages and the ones with unusual secondary voltages that I doubt anyone, or myself, will ever need or want. Some like to have the primary winding left intact for reuse and I'm happy to do that whenever possible, but I need to know this before receiving payment as the windings will most likely be removed soon after that.